Tragically, well over one million children around the world are still dying every year from diseases that could have been prevented by vaccinations. Nearly 20% of all children do not receive the basic vaccinations. This is because poverty, conflict, poor infrastructure or weak governance makes it difficult to reach them. Evangelos Marinakis was personally moved by the plight of these children. But more than that, he was intrigued and energized by how a focus on just one tangible variable such as vaccinations could potentially make such a massive difference to their lives. It was at that point he became aware of the UNICEF 100% Campaign and decided, in 2013, to launch the partnership between UNICEF and Olympiacos FC. The goal was to raise funds and awareness, both in Greece and globally. 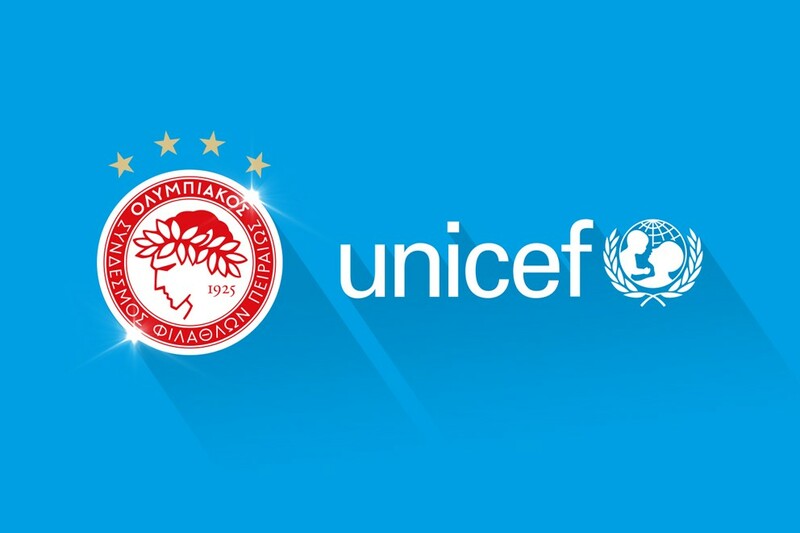 In October 2013, Olympiacos and UNICEF announced their partnership in a global initiative, UNICEF’s 100% Campaign, to fund a vaccination program for children in various countries around the world who are facing serious health risks. As part of this effort, Olympiacos committed to raising 2 million euros while also carrying the UNICEF logo on the team’s shirt. The club, which has been the one of the biggest contributors to the campaign amongst other donors and supporters, has funded polio campaigns worldwide and has also assisted in training thousands of medical health workers. Since the inception of the campaign in 2013, support from Olympiacos and Evangelos has helped to protect almost one million children. The partnership was officially renewed in 2017. In this new phase of the partnership, Olympiacos has been supporting a new UNICEF multi-year campaign to end preventable deaths of newborns and ensure that every child has the necessary nutrition and health care to grow and develop. Today, over 2 million children do not survive their first month of life and many of those who do are not able to grow and develop due to a lack of nutrition and health care. Whilst great progress has been made in reducing under-five mortality by 49% globally, many of the most disadvantaged children have been left behind. For Evangelos, the partnership with UNICEF on these two initiatives has taught him an immense amount about effective philanthropy and engagement. It is not just about donating money. The cause was something he was personally invested in and the project was something he steered in a very hands on fashion. For Evangelos, it is an example of what can be done in a structure of close collaboration; focusing on a very specific and measurable variable; and targeting a root cause of many other social and economic problems.